The soundtrack to the documentary that first aired on HBO earlier this year, Montage of Heck is noteworthy as being the first-ever solo release by Nirvana’s Kurt Cobain, albeit posthumously—consisting of his homemade cassette recordings. Granted some of the material on this standard edition of the soundtrack (there are definitely more songs on the deluxe version) are more like sketches than complete songs with mostly just the singer’s voice and guitar. But for die-hard Nirvana fans, these recordings offer a glimpse behind Cobain’s creative and thought processes. A few of them are more off-the-cuff stuff (“The Yodel Song,” “Scoff” and “Reverb Experiment”), while others are early demos of songs that would eventually appear on official Nirvana releases such as the haunting “Sappy,” “Been a Son,” “Something in the Way,” and “Frances Farmer…”, the latter perhaps being the most realized of the bunch. There are a couple of interesting tracks like the twisted “She Only Lies” and the melodic “Desire” that could have been contenders on Nirvana releases. The most poignant song is Cobain’s rendition of the Beatles’ “And I Love Her,” performed with sincerity and tenderness without irony. 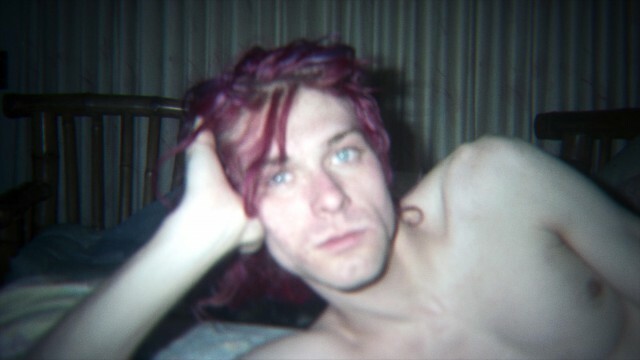 Montage of Heck the soundtrack showcases glimmers of Cobain’s genius found on these rough recordings. Of course, this soundtrack complements the film about Cobain directed by Brett Morgen, which is now out on DVD. It is certainly one of the most compelling music documentaries in recent memory, focusing mostly on Cobain’s life, death, and music as opposed to being more about Nirvana’s rise to the top—although it does feature an interview with his former bandmate Krist Novoselic along with Courtney Love and Cobain’s relatives. (A more in-depth review of the documentary that I wrote for AlterNet can be found here) For Nirvana fans or just the casual music listener, Montage of Heck is highly recommended on the basis of how it explores Cobain’s musical gifts and inner turmoil. The DVD release also contains bonus interviews with those involved in the film as well as a photo gallery of Cobain’s possessions including his artwork.